About five years ago, in late January and early February 2013, The Guardian carried my three – part column titled “Struggling for seats in a sinking boat.” When, recently, I examined the first part of that series (the one that appeared on January 31, 2013), I was struck by the freshness of what I wrote. For a moment I thought I was commenting on the current situation. Let me reproduce just a paragraph from that article: “Nigeria is currently like a sinking boat: Boko Haram; corruption and political economy of class and state robbery; state delinquency (that is rapidly acquiring features of failed state); mass poverty and dispossession; armed robbery and kidnapping; gross social inequality; unpatriotic ruling classes; marginalization and anomie; violence, mass insecurity and kindred social maladies – are, in their combined effect, literally sinking the country. In the midst of all this, the rulers are fighting for the next presidency. That is what I have likened to ‘fighting for seats in a sinking boat’”. At the time I wrote the January 2013 article, the fight for Nigeria’s presidency was raging at two levels: At one level was the struggle within the former ruling party, the People’s Democratic Party (PDP), the party of President Goodluck Jonathan. The primary struggle in the party was between those who wanted the president to be presented by the party in the 2015 presidential election and those who did not want him as their candidate. The secondary questions included where the PDP’s presidential candidate, other than President Jonathan, should come from: the North or the South? At another level is the struggle between PDP on the one hand and the other ruling-class parties – which were then in the opposition – on the other hand. In the vanguard of this opposition were two parties: the Action Congress of Nigeria (ACN) led by Asiwaju Bola Tinubu and the Congress of Progressive Change (CPC) led by General Muhammadu Buhari. These two opposition parties, together with fractions of two other smaller parties – the All Nigerian Peoples Parties (ANPP) and All Progressives Grand Alliance (APGA) – were soon to merge and become a “mega” party, the All Progressives Congress (APC). The struggle between the PDP and the APC in the period between the emergence of the latter in 2013 and the 2015 presidential election was – to put the matter mildly – a struggle of hate. I can say that in my own conscious political experience the bitterness was comparable only to that which, towards the end of the First Republic (1960-1966), characterized the struggle between the Nigerian National Alliance (NNA) and the United Progressive Grand Alliance (UPGA). The debate between the ruling PDP and its ruling class opponents was as violent as debates in words could become. Beyond that would be what Mao Zedung called “politics by other means.” To both the PDP presidency and its APC opponents the 2015 presidential election could only be deemed free and fair if their candidates won! In other words, if either party won, then the election would be considered unfree and unfair by its opponent. And violence would erupt! That was what the two sides literally threatened. No nation, no people could be more threatened and blackmailed by its rulers! The People’s Democratic Party (PDP), like the National Party of Nigeria (NPN) of the Second Republic (1979-1983), was deliberately created to be the largest, the most powerful and the most national of the parties of Nigeria’s ruling classes. The party came into being after the deaths of General Abacha and Chief Abiola in mid-1998. Its status as the largest party of the ruling class was formally confirmed in the February 1999 presidential election. From 1999 to 2013, that is, until the emergence of the All Progressives Congress (APC), PDP maintained and renewed that position. Then, through a thunderous political wave which started in Nigeria’s ruling class almost immediately after Jonathan’s victory in the 2011 presidential election, PDP’s hegemony in the ruling class, and hence in the country, began to be seriously challenged. For the first time since independence, political hegemony passed from one ruling class party to another – without a military coup d’etat or war! But that was not all. The displacement of the PDP by APC happened before the March 2015 presidential election! The election - whether it was free and fair, or not – only confirmed this displacement. I still wonder how a serious student of society and politics, let alone a Marxist, could have given the PDP the slightest chance of defeating the APC in the 2015 presidential election. How could the PDP win when, before the contest, this ruling party had lost dominance and hegemony in the political class as well as among the masses? And beyond this, how could a ruling party in 2015 Nigeria retain power through an election taking place at a time it had lost actual control of the strategic institutions of state including those that would conduct the elections? The general elections took place and APC won overwhelmingly at all levels. It assumed formal office on May 29, 2015 having assumed real power immediately it was declared the winner of the contest two months earlier. At the time the 2015 elections took place APC appeared – in membership, leadership, antecedents and rhetorics – to be more progressive than the PDP. Now, just before the elections I was gripped by two real fears. The first fear arose from the possibility of emergence of armed support (state and non-state) – for either the PDP or the APC or both – before, during or after the elections. The other fear arose from the real possibility, not just of ruling class-induced crisis in the Left, but of massive co-optation of segments of the country’s poplar-democratic movement by these two parties or forces within them. The first fear did not materialize – at least not overtly. But my second fear partially materialized: large segments of the Left and popular-democratic forces were actually coopted into the APC where they became political militants. Putting aside the Civil War tragedies in both wings of the Nigerian Left, it may be proposed that this type of massive ideological – political cooptation in the Left had, before the 2015 general elections, taken place only on three occasions. The first time was in (1963-1965) when fractions of the Left, including those that were described as “extreme tendencies”, teamed up with the opposition United Progressive Grand Alliance (UPGA) to confront the ruling Nigerian National Alliance (NNA). 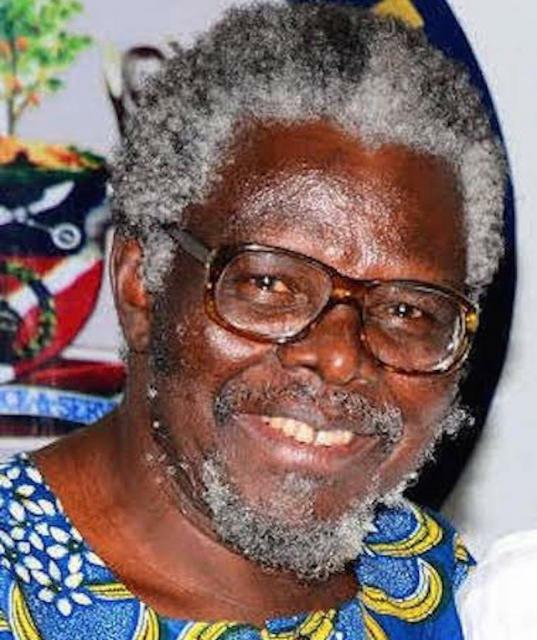 The second occasion was in 1983 when fractions of the Left teamed up with either the Unity Party of Nigeria (UPN) or the radical wing of the Peoples Redemption Party (PRP) in opposition to the ruling National Party of Nigeria (NPN). And the third time was in 1993 when large segments of the Left went into the campaign of Chief Moshood Abiola, the presidential candidate of the Social Democratic Party (SDP).